While most photographers are happy to take photographs of the railways from stations, paths and bridges, some of us want to get onto the tracks. 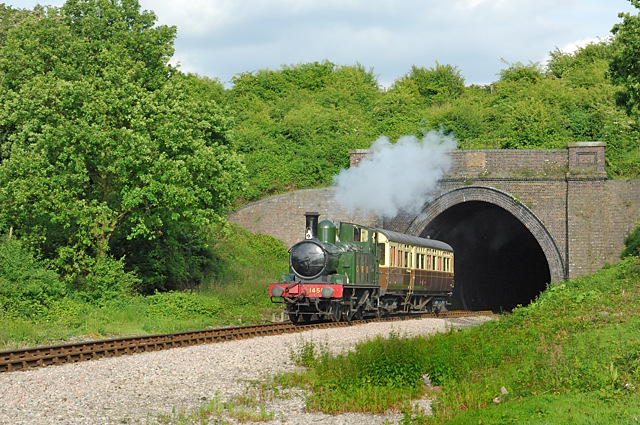 There are number of photos that you can only get from being lineside, such as drivers collecting tokens from signal boxes, and trains coming out of tunnel entrances. Many other shots are easier from lineside as the hedges, trees and weeds are not so much a problem and you can often select the position better to get the perspective you want. Marshalling yards, sidings and groups of trains are all far easier when you can walk around where you like. However not all rail passes give total access to all parts of the railway. Train lines are fairly level, trains don't go up steep hills so walking alongside the tracks is not difficult, the most strenuous part is usually how we get access to the railway line, and how we get back off it afterwards. To go lineside we need a lineside pass, to wear a bright orange visibility tabard or jacket, and to be aware of the dangers. Trains are large, heavy, don't stop in short distances and are gong far faster when they get to you than they appear to be when some way off. If we were to get hit by a train it would be unlikely that an ambulance would be needed, more likely a number of plastic bags to collect together the pieces. So it doesn't matter how far away the train appears to be, if you can see the train or hear the noise the lines make as a train is approaching, never try to cross the line. You also should never go into a tunnel, and if you have to go under a bridge or though a cutting where the opportunity to get away from the line is limited, you have to be really sure that no train is coming. You cannot rely on the trains coming only from one direction and as scheduled. There are occasions where a train fails and a second train is sent down the line to pull it back. This means you can be looking one way and a train can come from behind at speed. Because you are wearing high visibility clothing, the engine driver on seeing you ahead has the chance to blow the whistle or if a diesel make some other noise. However they can't see around bends or see you sitting in many locations, the driver may be distracted and visibility can be poor on some engines, so you can't rely on this. Coming out of tunnels there may be a patch where the drivers eyes are becoming accustomed to the light again, particularly on very sunny days. As the train approaches you may hear it, often you will find you hear it some way off, it then goes quiet, and this pattern is repeated, at some points the driver may blow his whistle, in some locations because of the terrain, the operating practise, or to amuse people waving at the train. Just because one train blows a whistle before it gets to you there is no guarantee others will. When the train gets nearer often the first real sign is the noise from the lines, its a sound between a buzz and a squeak and you will usually hear this before the train comes into view. If you are on your own and its a quiet location you won't miss this, if near the lines. If you are not expecting a train then its a clear warning to get somewhere safe now. Some railway lines are wider and have either a wider area each side or space for another trackway that is not present. With our local railway this is the case, it was originally a part of the main line so had lines in both directions, now with a single track most of the way there is room for maintenance vehicles to drive alongside it. Bridges have space for two tracks with centre divider, so one trackway is clear to walk down. From both a safety and visibility viewpoint this is ideal, it also makes taking photographs easier, but many lines don't have this. All railways will have, as a condition of going lineside in any role, including lineside photography that individuals must wear high visibility wear. Most insist that this is reflective Orange, in line with normal rail practice. You can't wear the high visibility yellow that cyclists, and people doing road repairs etc wear. This is available as a tabard, as a Velcro fitting armless jacket, as a full jacket and in a number of other forms, all in a variety of sizes. Some railway shops sell these, but the price tends to be high compared with what you can get them for elsewhere. I have several of the armless jackets, in several sizes, a sweatshirt, and a full jacket. Here are a few links that will allow you to source these items cheaply. Put 'high visibility wear' into a search engine to find more, but remember it has to be ORANGE!! Not all railways offer lineside passes, also known by some as lineside permits, and its difficult to know who does without asking each. Details of these are often difficult to find on websites, and volunteers operating stations may not understand what you are talking about if you enquire. You can often find them mentioned in the detail on special days, steam galas and the like. Often dates that have passed will still have information available. Some others did, but no longer do. Where offered there is often a day pass and annual pass available, with the annual pass there are often two rates, one for members and another for non members. In many cases the cost of membership and the members annual lineside pas is cheaper than the annual pass alone, but takes longer to get, as you have to join first. Usually it's only day passes that can be purchased at the station. In some cases they are only available to members and in another I came across, a pass offered for just £1 when you also bought a day rover for an event. There are sometimes other restrictions and most want everyone getting lineside passes to be over 16 or 18. Below I have put a short list of a few I have come across who have promoted lineside permits or passes. 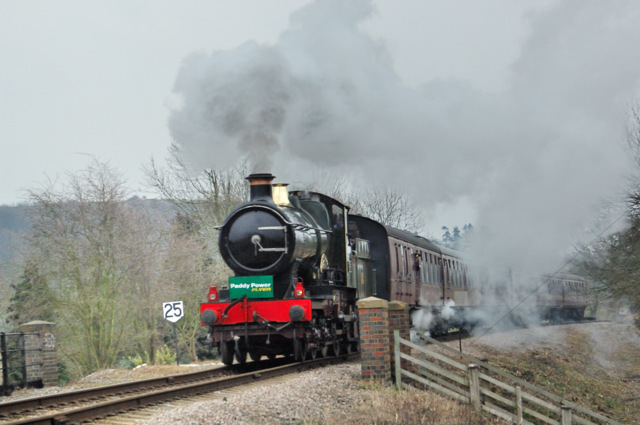 Many lines are run by volunteers and if the operation of railways or some aspect of their running or maintenance was of interest to you then most would welcome extra volunteers. This would allow you to go lineside in many situations. 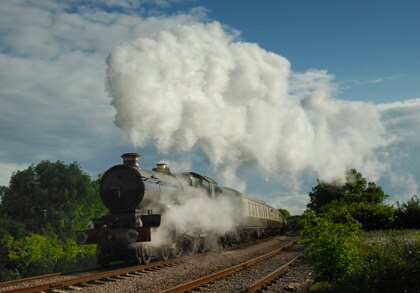 There are also Rail Photo charters put on specifically for groups of photographers, we have another article on these.